Included in P. inclinata in Michigan Flora. A few collections from open areas along railroads and disturbed shores in Ingham and Washtenaw Cos. have leaves essentially green beneath (and more closely resembling P. norvegica) and small petals. These are tentatively here referred to this poorly known entity with shorter petals and anthers. It is conceivable that they merely represent primary hybrids between P. argentea and P. norvegica. MICHIGAN FLORA ONLINE. A. A. Reznicek, E. G. Voss, & B. S. Walters. February 2011. University of Michigan. Web. 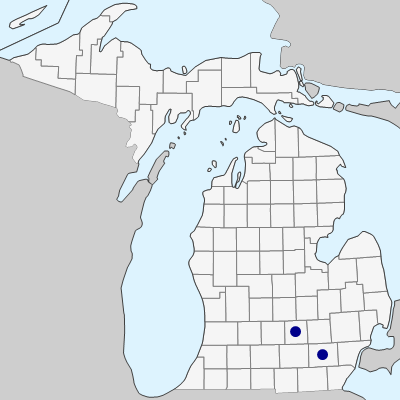 April 19, 2019. https://michiganflora.net/species.aspx?id=2864.